But WHY NOT Jackson? It was the place I was most excited about just so I could really experience real American life in a small neighbourhood, drink sweet tea whilst on a rocking chair on the front porch and eat grits and biscuits and gravy and just live my Southern Belle dream. Normally when I am really looking forward to visiting a particular place I hype it up too much in my mind and it doesn’t live up to my expectations but Jackson exceeded it for me. Maybe this wouldn’t be the case for an American but for a British girl who has grown up being obsessed with American movies, I was living my best life here in Mississippi. Where do I start with how perfect our accommodation was!? We didn’t know of anyone who had been to Jackson before so had absolutely no idea where to stay. We searched Air B&B and fell in love with The Yellow Cottage, so we booked it. The cottage looked so cute and we were totally won over by the rocking chairs on our own personal porch plus the price was amazing and one of the best we had come across when looking for accommodation during the whole nine weeks. On arrival we met our hosts Jan and Charlie who showed us to our cottage and how to work everything. Jan had even baked us an amazing loaf of pumpkin bread. The portion was pretty huge but it was SO good that I think I wolfed down over half of it by myself. The cottage was cutely decorated with a lot of attention to detail plus it was so incredibly clean and tidy. It included everything we needed such as wifi, a TV, grits and cereal bars for breakfast, tea and coffee as well as soda, water, yoghurts and fruit in the fridge. The bathroom was even stocked with toiletries which was absolutely perfect for us being on the road and having limited space in our luggage for toiletries. There was everything we needed and more including shampoo, conditioner, shower gel, make up wipes, body lotion, shaving cream and plasters. We didn’t plan our arrival very well though by arriving on a Sunday when everything is closed. But this gave us a great chance to relax in our lovely cosy cottage – which was just what we needed after all the travelling we had been doing! We explored the local area and were recommended Kiefer’s restaurant which was open on a Sunday. Kiefer’s is a Mediterranean style restaurant and it’s where I had one of my favourite meals (I still crave it, it was incredible). I had the chicken yavne which I would say was a Mediterranean dish with an American twist. It was a delicious wrap filled with chicken sauteed with onions and BBQ sauce and it was just insanely good. I’ve never had anything like it. On Monday morning we headed to nearby Fondren. A few weeks earlier I had watched the film The Help and did not know that the cottage we had booked was actually in the neighbourhood the film/book is based on. This meant that a lot of the filming took place nearby in Fondren which was really exciting. Including the street pictured below in Fondren. We walked by Walker’s Drive-In which is a popular restaurant (and in fact not a drive in) in Jackson. This retro is said to sell some of the best meals in Jackson. I fell in love with its brightly decorated exterior, which the majority of Fondren is like and probably the reason why I loved this neighbourhood so much. I absolutely adored Fondren. I felt like I’d just walked into a retro American movie set. It makes sense why some of The Help was filmed here! We also walked past CAET which looked like a wonderful wine bar. CAET is pronounced Kate and offers over 30 wines by the glass and has been awarded Wine Spectators Award of Excellence. They have a great happy hour which sadly we didn’t get a chance to try but I would definitely make time for if I get to visit again! 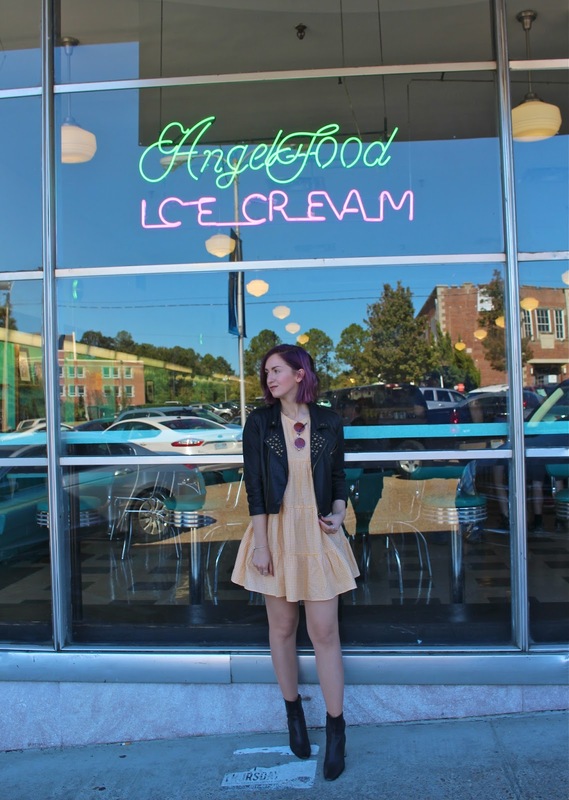 Some great shops in Fondren include the stylish Treehouse Boutique which we browsed as well as Orange Peel, a vintage clothing store which sells items from last season to the 1950s. Orange Peel is well known for his bargain priced goods. There was also some fantastic wall art around Fondren, which if you follow my Instagram then you know I can’t get enough of it! My favourite spot in Fondren was Brent’s Drugs (which also features in The Help!). 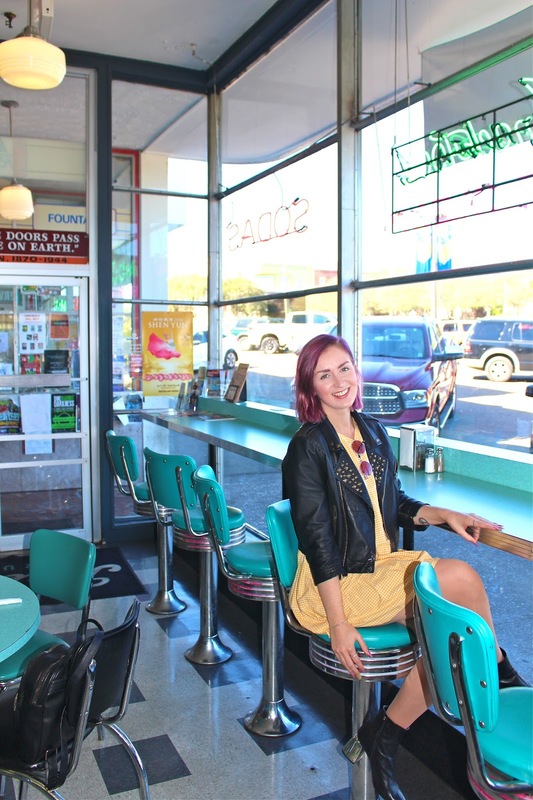 A brightly coloured old skool diner serving up traditional American fare. Brent’s Drugs opened in 1946 and was a pharmacy and soda fountain – hence the name. The pharmacy business was sold in 2009 and it became just a diner. Brent’s Drugs was so photogenic and looked like the perfect place for a photo shoot! I couldn’t stop taking pictures, it was just so pretty! Once we were done exploring Fondren we took an Uber to Renaissance at Colony Park for a spot of shopping. This outdoor shopping centre had stores such as Sephora (my favourite! ), Charming Charlie (a new favourite which we need in the UK. Think Urban Outfitters home section but for half the price! ), Anthropologie, Free People, and Material Girls. There’s also a lot of casual dining options such as P.F. Changs, Ruth’s Chris Steak House, Panera Bread and Another Broken Egg Cafe. After shopping we were in need of a drink so we moved onto The Fairview Inn. 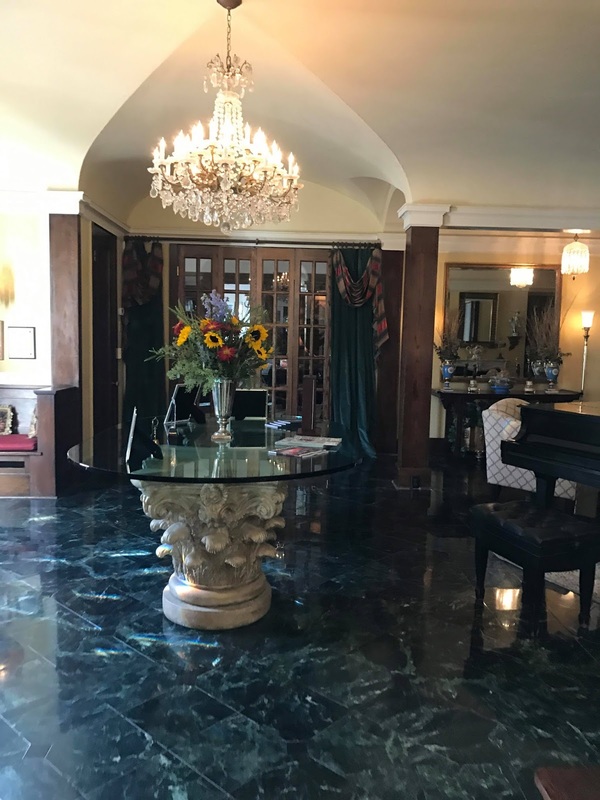 The Fairview Inn is a beautiful 1908 Colonial Revival mansion located in Belhaven and just a short walk from our cottage. This is where the cast of The Help stayed during filming and apparently where some filming even took place. 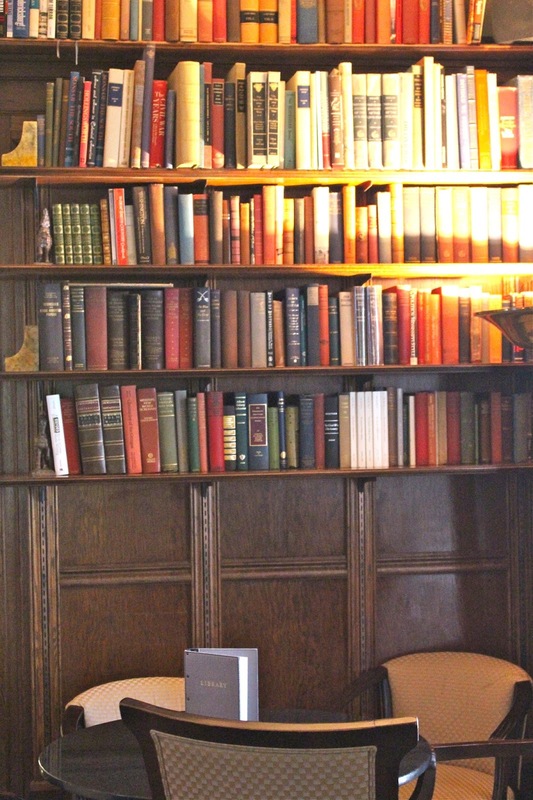 You can stop by for a drink at The Library, a cosy bar area within the hotel, like we did. The weather was absolutely beautiful (around 24 degrees at the end of October) we decided to sit outside and make the most of it. We enjoyed a traditional Mint Julep each, a drink that although has a lot of debate regarding its origin is said to be from Mississippi. This refreshing blend contains a teaspoon of powdered sugar, Bourbon whiskey, 2 teaspoons of water and mint leaves. I’m not usually a Bourbon fan but felt it was a drink I needed in the South and to my surprise I absolutely adored the Mint Julep. We got the taste for cocktails and sitting in the sun (something we weren’t use to for the end of October!). So we decided to stay for another cocktail each and enjoyed two very brightly coloured Melon and Raspberry martinis. The Fairview Inn was so wonderful and relaxing and mirrored Belhaven’s peaceful and laid-back attitude. 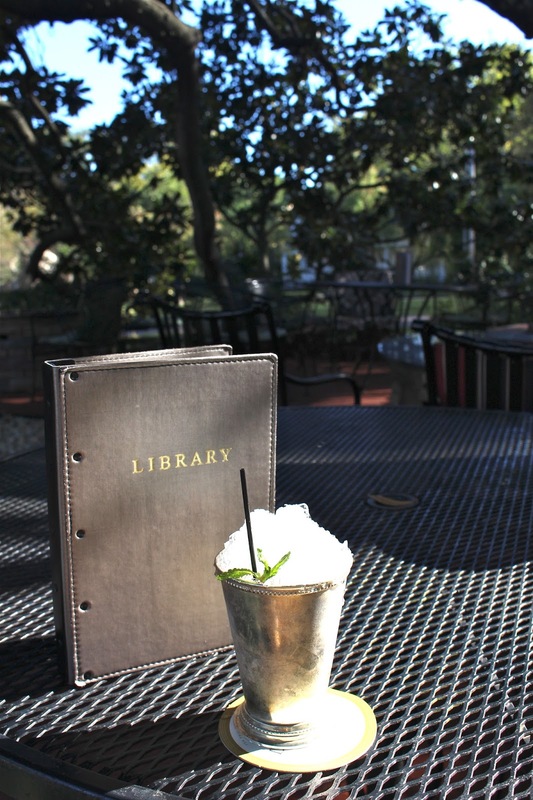 Many of the cocktails at The Fairview Inn are named after the local area as well as American authors including Eudora Welty. Eudora Welty is a Pulitzer Prize-winning author who was born in Jackson. Her house is located between The Fairview Inn and The Yellow Cottage and is available for tours. Her house is arranged to look like it did when she lived and wrote there in the 1980s. Opposite the house is Belhaven University campus which is also worth a stroll around if you have time! For dinner we went to nearby restaurant The Manship, a popular award-winning restaurant with a wood fired kitchen in Belhaven. The menu features Southern classics as well as a mix of European style dishes. This is a fantastic neighbourhood spot with a delicious menu and well worth a visit if you are staying in Belhaven. After two nights in Jackson it was time to move onto New Orleans, Louisiana – we were regretting not booking to stay in Mississippi longer! Jan kindly drove us to Union Station the next morning to catch our train. On arrival we found out that our train was delayed by a couple of hours so we took this as an opportunity to have lunch at the Mayflower Cafe. 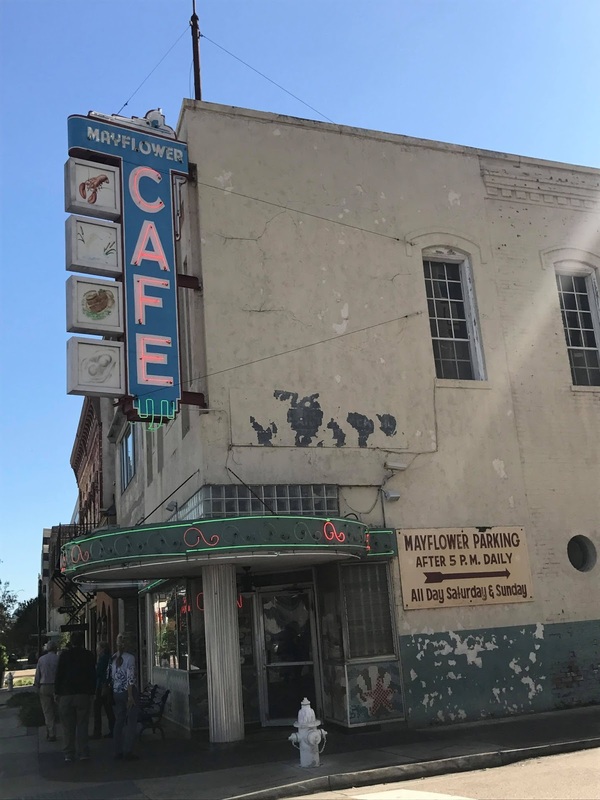 The cafe is located less than a five minute walk to the Amtrak station and is another film location for the film The Help (as well as the film Ghosts of Mississippi). Mayflower Cafe is the oldest operating restaurant in the Capital city and has been a favourite for generations. I think many of its diners were a bit shocked by a girl with pink hair entering the doors (there were a few whispers and stares!). But we had such a great time at Mayflower Cafe as again I was able to live my American movie dream. It had such a local feel and the decor looked like it hadn’t changed for years. It was though I’d stepped back in time to an American movie set as the waitresses filled up plastic cups of sweet tea and served up plates of traditional Southern sweet pies. We made a few stops on the Amtrak route ‘City of New Orleans’ which includes Jackson. We started off in Chicago and travelled down to Memphis then onto Jackson before heading to New Orleans. The train runs just once a day and it is a 19 hour journey from Chicago to New Orleans hence why we made a few stops (although you can book sleeper bunks.) If you plan on stopping off like we did then you need to book several separate tickets (or get an Amtrak pass) as you can’t just get on and off as you please. The trains are amazing. There’s plenty of room to stretch out and you can also venture to the cafe area or lounge cart to admire the views (see below). My favourite part was travelling from Jackson to New Orleans, it was so interesting travelling through so many local towns and places you wouldn’t normally see as tourist! Since returning I have looked at flights to Jackson but it is pretty impossible from the UK unless you want to pay over £1200 and stop off 1-2 times on the way. However I would highly recommend stopping by Jackson if you are passing through by bus, train or driving through on a road trip. 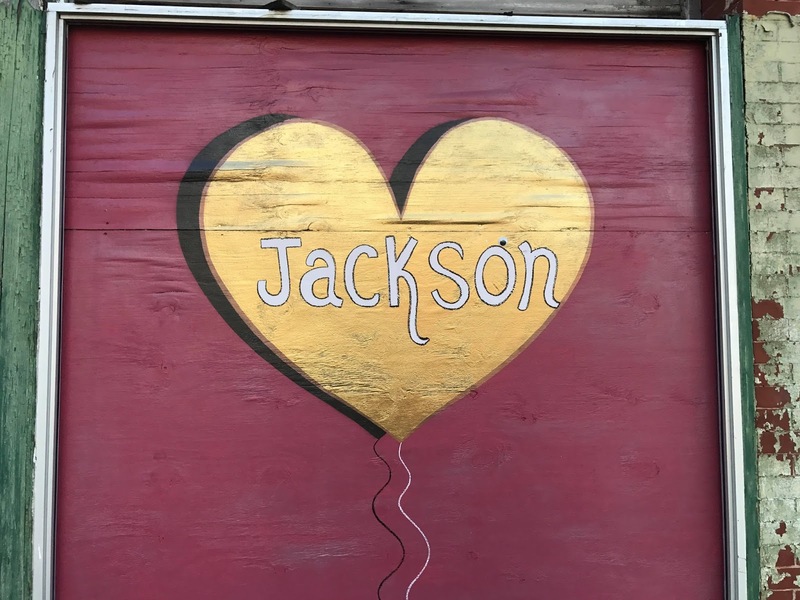 – Before heading to Jackson we were warned that there wasn’t much to do in Jackson and that the city was known to be unsafe and run down. We didn’t venture into downtown Jackson so I cannot confirm this however fortunately we had booked our accommodation in Belhaven, a beautiful neighbourhood just a 5-10 minute drive from Jackson. So if you are planning on going make sure you do your research first on where you would like to stay (or just go to Belhaven like we did!) Check out this article on the NY Times which mentions some really great places in Jackson which we didn’t have time to check out. – If you travelling by Amtrak or Greyhound then don’t hang around the bus/train station as it can be unsafe. There were cabs outside when we arrived and there was wifi at the station to order an Uber. – Plan your trip well and avoid Jackson on a Sunday! We arrived on a Sunday and pretty much everything was closed even all the bars and restaurants, which we aren’t used to in the UK! Check out this link for a few more tips. But don’t let it scare you! Where we stayed was a really safe and friendly neighbourhood.